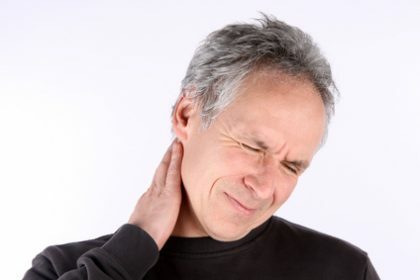 Muscle pain is one of those uncomfortable facts of life that everyone experiences occasionally. Sometimes it is simply because we picked up something heavy, did too much strenuous exercise or slept in an awkward position. When that soreness or stiffness occurs on a regular basis, however, there may be a rippling effect of pain flowing from another connected source. That source may be a TM joint disorder. How can TMJ affect other parts of your body? Our bodies are wired together in an amazing array of muscles, ligaments, bones and cartilage. Each part is important and has a job to do. When any piece of this human masterpiece becomes dysfunctional or injured, the rest of the body is also affected. Let’s look at the jaw joint and how it relates to the rest of the body. The temporal part of your skull, located just in front of your ear, is hinged by a disc to your lower jaw. This enables you to easily open and close your mouth to chew, yawn or talk. Additionally, there are muscles to stabilize the jaw and hold it in position. The symptoms can be temporarily medicated, but that will not fix the real problem. A neuromuscular dentist, however, can do a full clinical examination to determine your correct jaw position and whether it is currently misaligned. If there is an issue, a personalized treatment plan can be implemented to properly resolve it.